If you’ve ever wondered who would win in a fist-fight between the Los Angeles Lakers and the Boston Celtics, then the World Series of Boxing (WSB) is kind of like that. 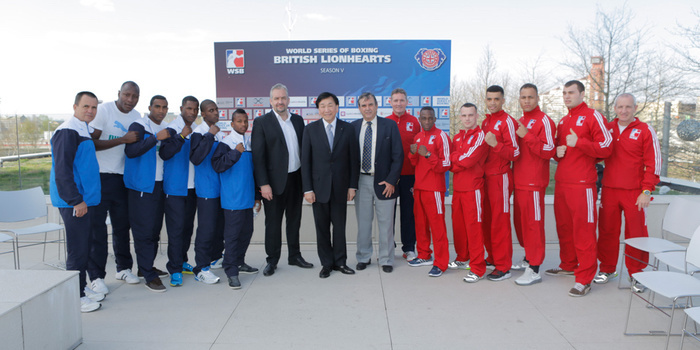 Debuting in 2010, the WSB is the brainchild of the International Boxing Association (AIBA) president Dr. Ching-Kuo Wu, and stages boxing matches as teams of fighters facing against each other rather than the conventional model of individual fighters representing themselves. The current season features 16 teams from around the globe, from Cuba to Kazakhstan, China to the United States. Bouzidi holds a long history of helping amateur fighters in the sport, most notably back in 2000 when he took Malik Bouziane, a French national who was bypassed for the Olympic trials, back to his native Algeria to represent the country in the Olympic games. 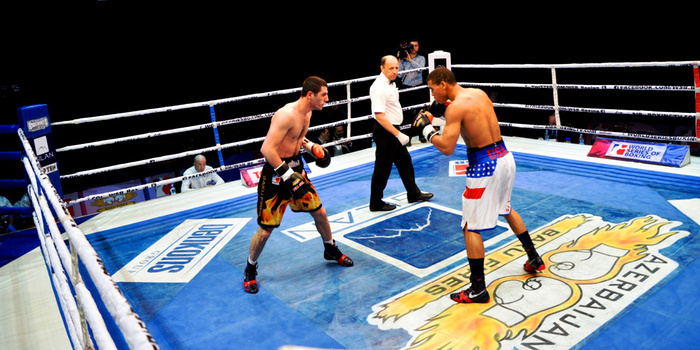 Bouziane would later beat the same fighter that took his place on the French team and the story made national headlines for a good stretch of time. From there, Bouzidi drifted in and out of the sport, and eventually wound up managing the Paris United franchise for the WSB. The team later went on to win the league’s first season under his management. Two years after that, he was asked to be the CEO of the organization and has been doing it ever since. 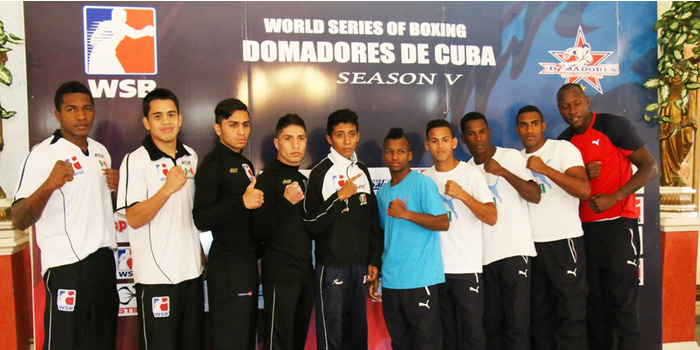 The format of the WSB follows a hybrid model set between amateur and professional boxing. Participants fight shirtless without headgear in five 3-min rounds, judged on a 10-point must system by three judges, similar to that seen in the professional ranks. 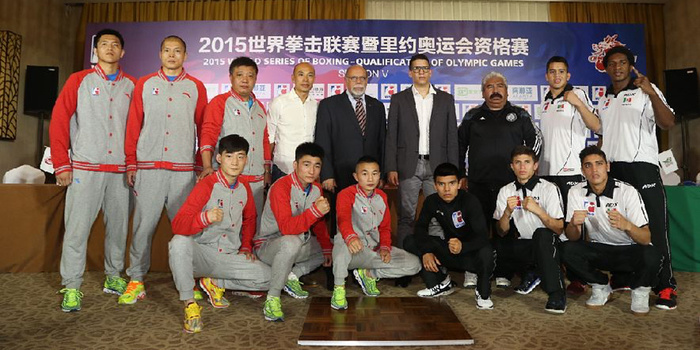 Other elements such as the weight divisions and glove size remain loyal to the amateur model, and participants retain their eligibility to compete in the Olympic games. 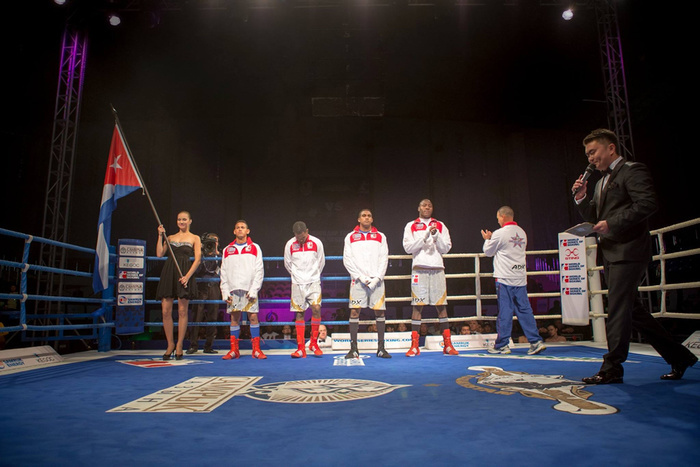 This news may not come as that much of a shock since it was long ago reported that professional boxers were eligible for the upcoming 2016 Games in Rio de Janeiro. It’s a fair argument when you consider the demands of training in the elite levels of the amateurs, and it does ask the question of who would fare better in a match between an Olympic-caliber amateur athlete versus the worn journeyman well into his pros. In terms of sheer physicality, a well-honed amateur transitions pretty seamlessly into the professional ranks, especially with the recent removal of headgear in the elite class of amateur boxing. But there are also other advantages in the semi-pro format, facts that Bouzidi is willing to admit. “Let's be honest, in the World Series of Boxing the boxer will compete every two weeks, they are live on TV, they have a lot of interviews, so they are familiar with the media, so they are not scared. 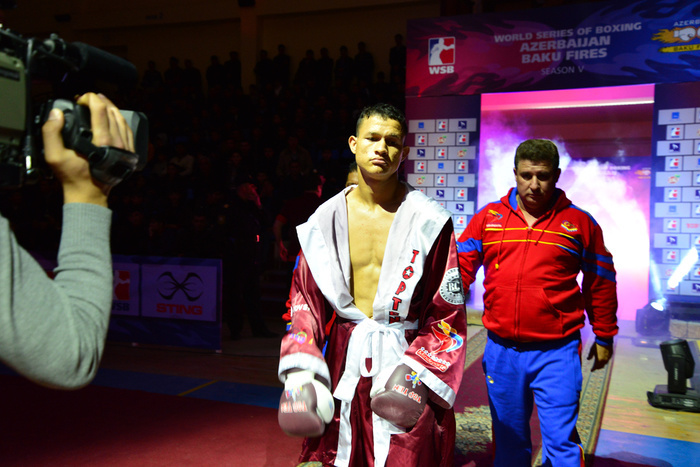 Most of the boxers that go into the Olympics, they have this fear, to face the TV, to face the public, so the WSB boxer doesn't have that,” said Bouzidi. But while amateurs do gain certain advantages competing in semi-pro leagues like the WSB, they may end up paying for them once they eventually migrate into the pros. Central to the issue is whether or not matches in the WSB should count on the pro record. Take Mexican-American heavyweight Javier Torres as an example. Torres compiled a 3-6 ledger under the WSB, and has since earned a solid 6-1 showing in the professional ranks, shown on the unofficial record database Boxrec. Fight Fax, however, does include the WSB fights on a fighter’s transcript, and since it is the official record keeper for the sport, this affects a fighter’s bargaining power at the negotiation table. A rising Mexican-American heavyweight star with a near-undefeated record could have produced a huge fan following and the accommodating paycheck, but one with a 9-7 record is much less appealing. On the other hand, not including WSB matches on a fighter’s record presents another set of issues. Ukrainian featherweight Vasyl Lomachenko is quickly becoming one of the sport’s rising stars, and is technically tied for the record of winning a world championship in the least amount of bouts when he beat Gary Russell Jr. for the WBO strap in his “third” professional fight. But Lomachenko also has 6 wins under the WSB banner, and while the HBO commentary team isn’t shy to point that out, he’s been officially announced and promoted without the WSB wins on his record. It’s interesting to see WSB fights included in one instance, and not the other, and certainly brings into question an issue of transparency. The official stance of the WSB is that their matches should not be included on the pro record. Their argument is that there are enough distinguishing factors to separate it from the professional ranks, such as the WSB’s use of 10 and 12oz gloves compared to the 8 and 10oz ones used in the pros, or the five-round format used in the WSB when the pros go anywhere from 4-12 rounds. There are certainly arguments to be made against leaving out the WSB fights on the professional records, but my feeling from speaking with Bouzidi was that the intention is not to deceive anyone, rather their stance is an attempt to help their fighters fully integrate into the professional system. "[The WSB] was more difficult in the USA to be honest, because the WSB is a tough competition. You have to compete against the best boxer, so you cannot hide yourself. You have to compete, and sometimes you win and sometimes you lose," says Bouzidi. "The issue in the USA is that WSB in the beginning was recognized as pro boxing. Now they consider that as amateur, but still I believe that Fight Fax is trying to register our bouts as pro bouts, so some boxers when they lose, they are not happy to have a loss on their record because they believe they cannot have a pro career after that with a famous promoter in the USA." For fighters, records are bargaining chips at the negotiation table. Being undefeated has much more fan appeal and unless one is an established name in the sport, one loss can set a career back for years. But this is one of the biggest problems with contemporary boxing that Bouzidi sees. The protection of an undefeated record is what prevents some of the best fights from happening in the sport, and with the way boxing is currently structured, many of the top names in the sport can get away with avoiding the toughest challenges. “I believe boxing is not organized in the US. 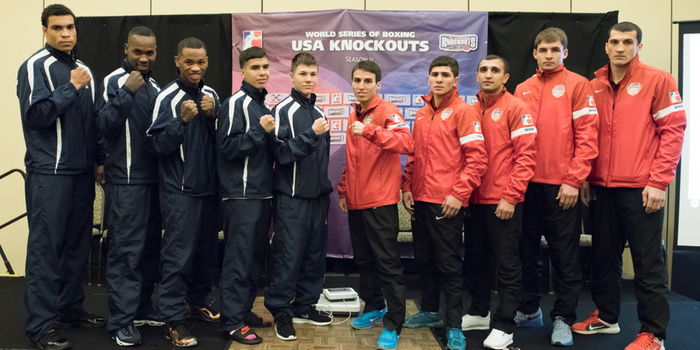 Events are organized in the US, but boxing is not organized. You have a lot of federations—WBC, WBA, WBO, IBF—that have their own belts, they have their own rankings, but can you explain to me how the rankings work? It's a bit difficult,” says Bouzidi. “At least this is what we're doing with the WSB because we are clear with our ranking and the boxer knows when they will compete. If they reach the fifth position, they will have to compete with the number three and then they will be ranked number four, like that. It's clear. If you lost, it's clear. They're based on rules, but the boxer also takes a risk to lose the fight because they have to compete against the best. It’s supposed to be like that, yes?" One way to look at the WSB is sort of as a one-stop shop. Instead of having a Golden Boy fighter competing for the WBC title on HBO, all of the promotion, rankings and televising gets handled by the WSB. The potential problem with that model is a system of checks and balances. There is a lot of money in the sport of boxing, and having one entity control nearly all operations of the sport requires a lot of faith. But it would also eliminate many of the politics of the sport. If boxing were organized in the WSB format, Mayweather and Pacquiao would have fought long ago. The current goals of the WSB are to have 24 teams around the globe within the next two years, and they’re also interested in creating a women’s league under the same format. 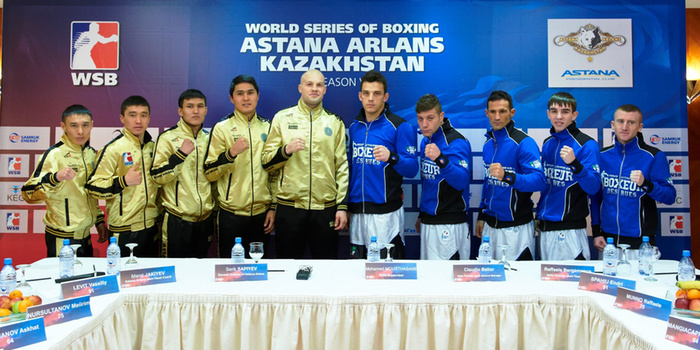 But perhaps the most interesting endeavor is their attempt at the National Series of Boxing, which would create city associated teams within a country, and then perhaps having a world series of sorts by having the national team compete internationally. They’ve already implemented a drafting system similar to the NBA or the NFL, and fighters under the WSB receive benefits like healthcare and regular salary from the franchise. This gives confidence that a fighter will not be physically broken from their time in the ring, and also potentially solves the massive pay gap seen in the sport between the megastars and the journeyman fighters. Sure, there is the argument to be made that pay scale should match a fighter’s level of skill, but boxing is currently ruled by a 1% elite, and much of the money stays at the tip of the pyramid. There are certainly many issues to be worked out with the ideas that the WSB proposes, but with the way the sport currently runs now, it may not be a bad approach. 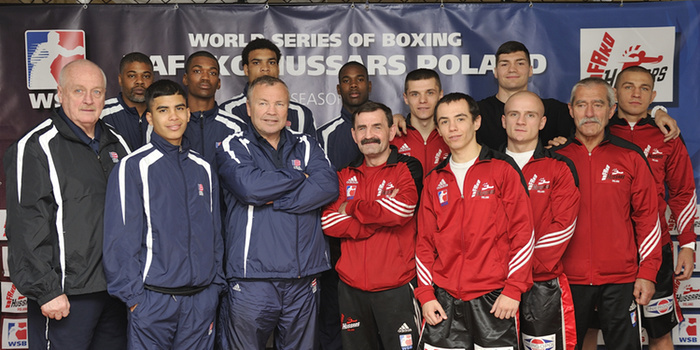 To find out more about the World Series of Boxing, please visit their site here.